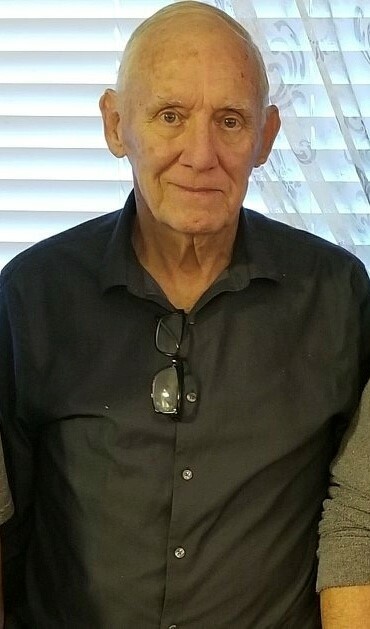 George Buffington, age 74, passed away on June 30, 2018. George was born on 04/13/1944 in Jal, New Mexico to Luna Buffington and Doris McCoy. George graduated from Jenks High School May 16, 1964. He lived in Tulsa, Oklahoma most of his adult life. He enlisted in the Army June 1964 and Honorably Discharged April 1970. he enlisted in the Army National Guard March 1983 and was Medically Discharged March of 02. George’s interest in computers took him to TCC to study computer operations. He worked as a Computer Operator for Tulsa Board of Education and Purolator for many years before retiring from the City of Tulsa. In the 70’s, 80’s and early 90’s, he could be found most weekends at the Broken Arrow Soccer Club refereeing or watching his children play soccer. He loved soccer and played well into his 60’s. His favorite hang-outs were Martini’s in Broken Arrow and Pickles in south Tulsa. George was preceded in death by his parents Luna Buffington and Doris McCoy. He is survived by his siblings Joyce Stephens, Terry Buffington, David Buffington. Children Alisa Lenhart, Melissa Buffington, Greg Buffington, Holly Buffington and step daughter Tara Price. Grandchildren: Sophia Price, Eli & Julia Acosta, Meagan Valero, Haleigh & Justin McCloud, Journi Buffington, Faith Seals, Camron Buffington, Corieon Lewis, Taylor Long, Kayden Buffington, Temperance & Liam Whitehead. Great grandchildren: Meagan’s Children; Dario Jr and Julianna. Haleigh’s child; Bradley. Journi’s daughter Amiya. Faith’s daughter Ziyah.